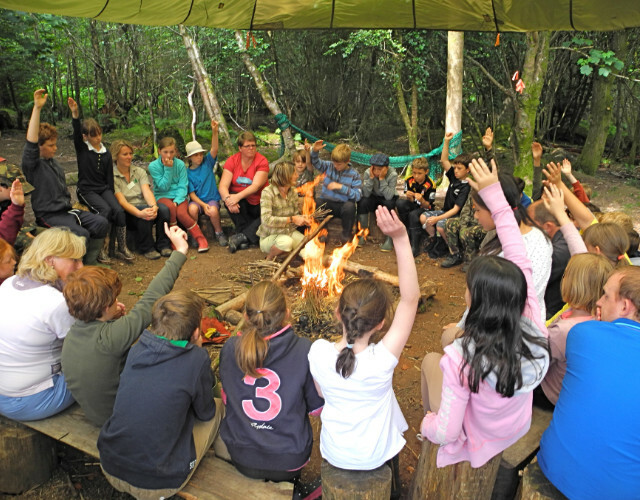 Key Stage 2 education group visits at at Grammarcombe Woods, Ashcombe Estate, Near Exeter. We make learning fun! Please check availability on our events calendar and then send us an enquiry with suggested dates using the link below. We will need to speak to you prior to your visit so please include your contact number and the best time to contact you by phone. Thank you so much for our trip today. We had a fantastic day and I am sure the children will be talking about it for weeks to come! The trip was so well organised and I was very impressed with your grasp of their names so quickly. Hannah and her team are organised, adaptable and fun. After the first time with them, we were hooked! They have enriched the student experience for the last 3 years and we look forward to our annual visit. The site was even better than last year. The children particularly enjoyed the nets and tree house and the marshmallows and hot chocolate. The teachers felt the led activities were valuable and we will definitely book again. Many thanks to all the staff. 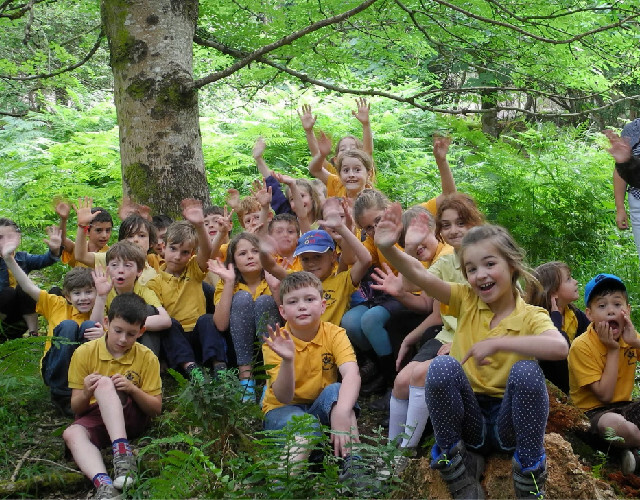 We were all very impressed with our visit to the woods, the activities were well matched and the children had a wonderful time telling all their grown ups and the school in our class assembly. We all really enjoyed our time in the woods. I was struck how calm all the children seemed around the camp fire and what great opportunities for cooperative play they had. I also thought the planned activities were wonderful and pitched at the right level. So we, too, came away feeling enthusiastic. Put your detective hat on and come and see whether you can work out which animals live in the woods at Grammarcombe Woods, Ashcombe Estate. There’s an abundance of animals who call these woods their home so we may well be lucky enough to find badger tracks and sets, deer tracks and lots more. Children will develop all their senses through playing a series of sensory awareness activities and will really enjoy searching for animal tracks and signs. 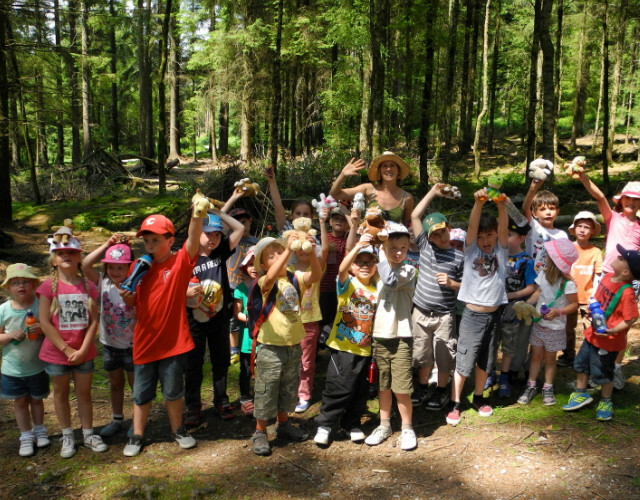 Consider what a plant needs to grow, investigate plant life in the forest, compare different habitats for plants. Play the pollination game. Plant your own seed to take back to school. Create a leaf print flag. Focus on animal life & the many habitats within he forest. 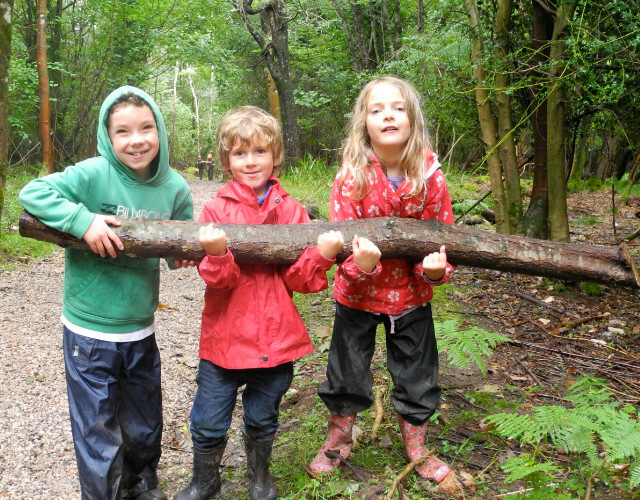 Investigate animals of the forest, discover different micro-habitats, find mini-beasts and create homes for them. Play the Animal Adaption game. Find evidence of woodland food chains. Construct a food web. Investigate the inter-relationships that connect all life together. Gather natural materials from the ground, hedgerows and woods. Create your own craft inspired by colours, textures and shapes found amongst trees. Use simple tools, e.g. a saw and drill – under close supervision! 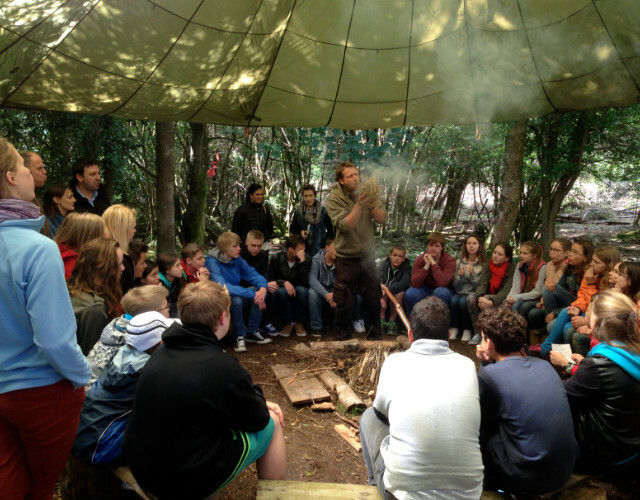 The group will be safely supervised in all these activities by our trained and experienced staff, who will lead them on exciting adventures into the magical woods. All staff are qualified group leaders, first aid trained and DBS checked.